Turn your television to the most popular home and garden show and guaranteed, you’ll find some type of stone as a decorative feature. For high-end professionals, incorporating stone into a build has become the standard operation. Anything less would be considered outdated. Many building contractors on the rise may already be well acquainted with marble tile and unfortunately, not every builder may be able to afford investing this grade of stone into their build right now. Marble is the most expensive building stone in the market, but marble isn’t the only building stone. There are options. Travertine is another kind of building stone that can be incorporated into a build. 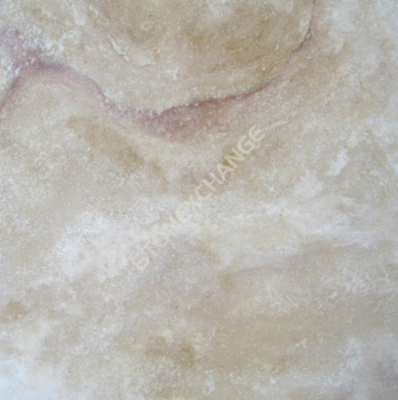 It has the same neutral tones as some of the popular marble tiles like Crema Bella, Crema Marfil and Crema River. Since travertine isn’t as laborious to mine like marble, it is less expensive. As a result, Travertine is often affordable enough for some builders who might not be able to afford marble. One might inquire why then, aren’t all of the building contractors flocking toward travertine tile? Simply put, it’s all about preference. For those who prefer a more colorful stone décor, marble would be the more suggestible choice as it comes in a wider array of color variations. Yet, for builders who are trying to mimic the increasing demand of neutral marble tile, travertine is almost a perfect match. Unlike marble, travertine is a porous rock. This means that it does not have the lustrous finish that marble is so well known for. As both tiles will exude a classic timeless look, travertine will offer a more rustic feel that is just as elegant. Unlike marble, travertine is not a metamorphic mineral. It is formed near hot springs and limestone caves through the accumulation of calcium carbonate. This explains the limited coloring of this material. Any slight coloring may be attributed to the formation in caves where bacteria and other organisms grow. This formation also explains its porous characteristics. The porous characteristics of travertine allow it to have more texture to its surface. This is something that would have to be engineered for a marble finish. The textured surface isn’t obvious to the eye, as it will only give off a matte-like finish. However, one can certainly tell the difference from the touch. From a builder’s perspective, although travertine is limited in color options, it is a diverse in where it can be installed. Because of marble’s slick surface, it is mostly installed indoors. Travertine’s textured surface allows builders to install this tile indoors and outdoors. It is the perfect tile to install around pools and patios. Additionally, travertine makes great building stone for gardens and walkways. Saturnia Ivory Travertine Light – This grade of travertine is considered the highest quality. Considered as the “select travertine tile,” only 10% of Saturnia is hand picked to ensure an exceptional level of quality. It has an ivory shade giving off a light and creamy look. It has a honed surface with a straight edge and can start as low as $2.95 per square foot ranging up to $4.39 per square foot depending on the size. It comes in 12” x 12”, 18” x 18”, and 24” x 24”. Arizona Ivory Travertine – This is the second grade of travertine that is less expensive than Saturnia. This grade also has a honed finish and has an ivory, beige, and rose coloring range thanks to the more significant amount of veining in this slab. It can be said that because of its coloring, the Arizona Ivory Travertine was formed in the limestone caves. This grade of travertine can start at $1.95 per square foot at 18” x 18” x ½”. So Arizona Ivory is going to be much cheaper than Saturnia. However, the Arizona Travertine is only available at the price in one size. The good news is that it’s a larger slab, so building contractors will get more for their money if they choose the Arizona Ivory to stock. At the end of the day, you want to be able to stock what the people want. Most of the time, it’s going to be the more expensive travertine—that’s why it’s expensive! Even at it’s already low unit cost, it is possible to reduce the price. By simply ordering at least one full crate, Nalboor Tiles, a stone tile wholesale distributor, will discount your order. It can also be reasoned that if you order one crate of Saturnia Ivory and one crate of Arizona Ivory, you may possibly even receive a more generous discount. Nalboor Tiles is your provider for Saturnia and Arizona Ivory Travertine tiles. We offer natural, engineered, and porcelain tiles at a competitive rate. Nalboor Tiles has been providing building contractors, architects, and interior designers with quality stone tiling since 2005. We also offer free samples for all marble and tile products. Based in South Florida, we are strategically positioned to deliver almost anywhere in the United States. To view a full list of our stone building materials, view our online catalog here. You can also call 1-305-501-4548, email us, or contact us through our website right now!